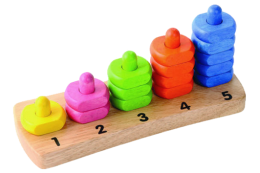 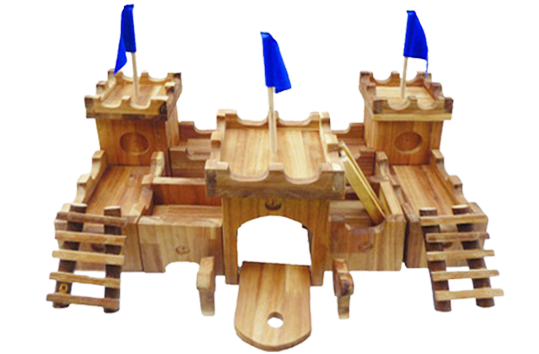 This handcrafted solid wood castle is fit for King or Queen! 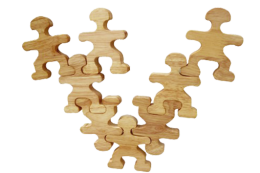 The medieval inspired castle pieces can be arranged to create many different structures. 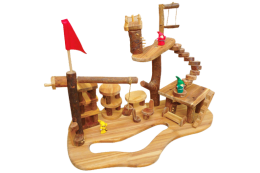 Includes a working drawbridge, arched doorways, castle walls, flags and ladders.